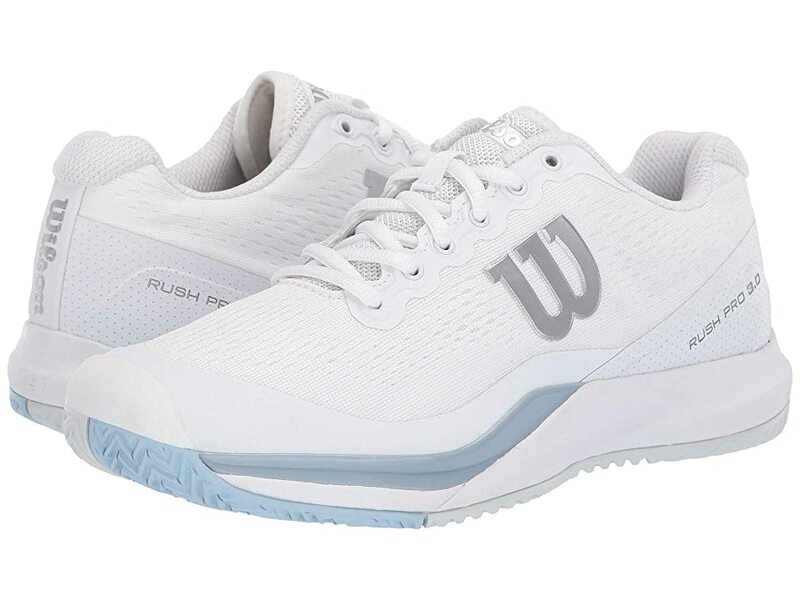 Bring the heat to the court with the Rush Open tennis shoe from Wilson. These come with free shipping, free returns, 365-day money back guarantee and an awesome customer support that is available 24/7. Ships only to USA. 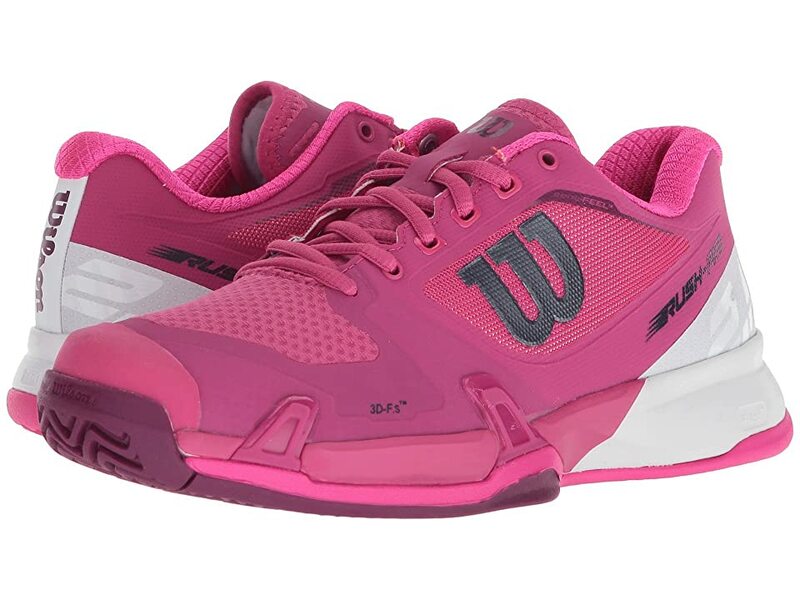 Zappos.com is proud to offer the Wilson Rush Open (White/White/New Fuchsia) – Footwear. 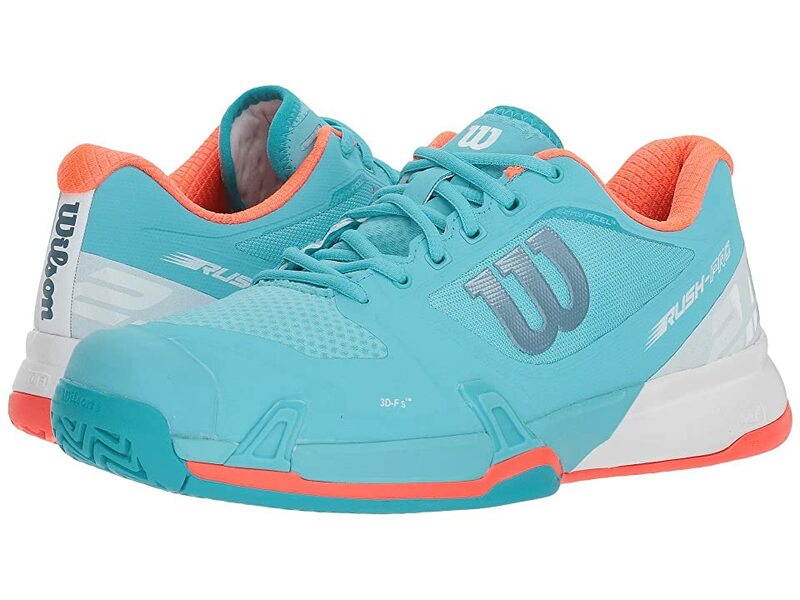 Bring the heat to the court with the Rush Open tennis shoe from Wilson. 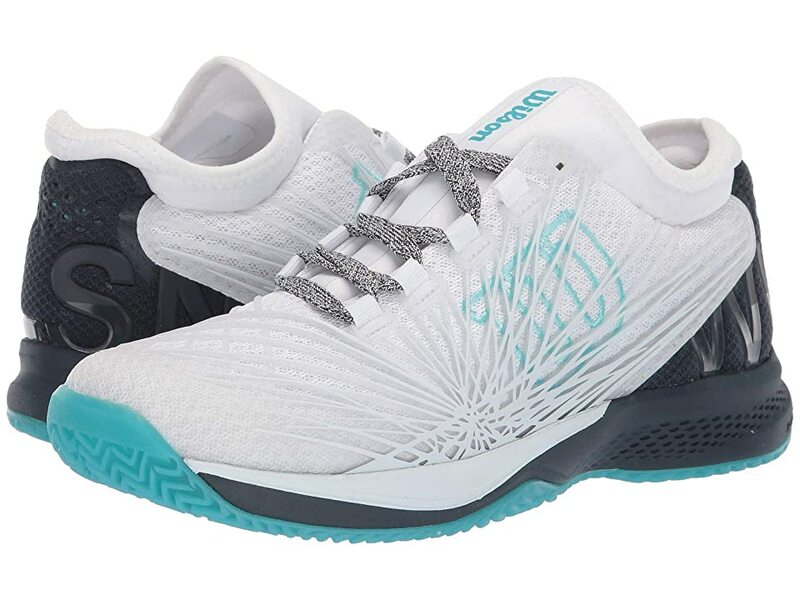 Built for the social tennis player looking for comfort and advanced cushioning. Synthetic leather upper with breathable mesh inserts. Dynamic Fit-DF3 midsole provides cushioning, and has a traditional court feel. R-DST reactive density forefoot compound for enhanced rebound. Duralast outsole delivers optimal traction and long-lasting wear. Product measurements were taken using size 5.5, width B – Medium. Please note that measurements may vary by size.